My hair guru Keith Carpenter and his partner Olivier had a dinner party on Saturday at their beautiful apartment in Brooklyn. 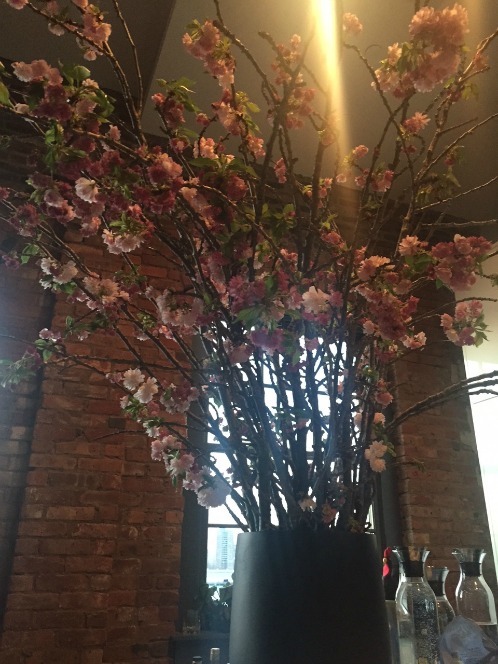 High ceilings make tall flower arrangements possible! I dressed in the same Zang Toi jacket/faux-garter tights combo that I wore to see Cabaret in January and to Zang’s Fall 2014 runway show. What can I say? I like this outfit! Cinzia Brandi, a gorgeous stylist friend of Keith’s, took a cool-looking photo of one of my newest designs: the barbed-wire, full-finger, hinged ring in 18K yellow gold. Click to see on Cinzia’s Instagram. I haven’t gotten the professional photos taken of this and other new designs yet, but you can see an iPhone snap of the hinged ring in its full glory on my company Instagram. By the way, if you don’t follow my business Instagram, you should, because that’s where I give sneak peeks of new designs and alert followers to sales. Keith’s dinner was actually our second party that night. 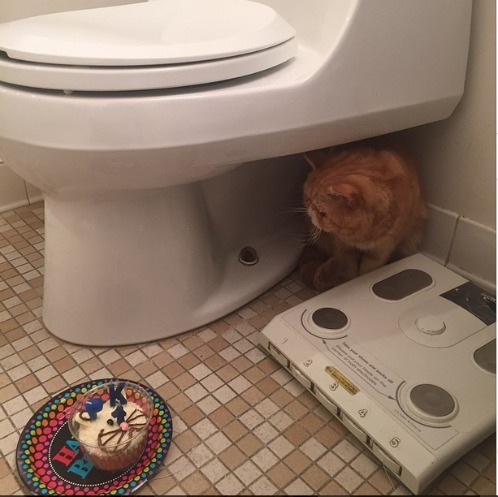 First, “Aunt” Stacy Lomman and I celebrated Purrkoy the kitten‘s first birthday in his favorite location: the bathroom. Yes, we are that silly! 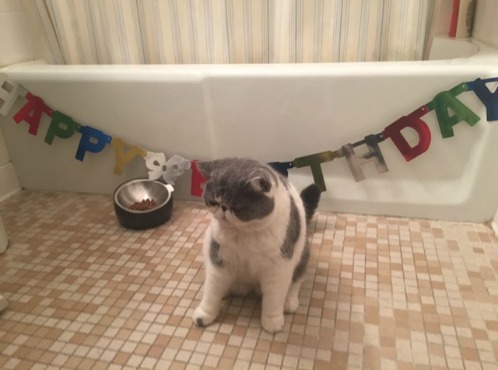 Purrkoy didn’t get to eat the cat-decorated cupcake, but he enjoyed nibbling the candles. 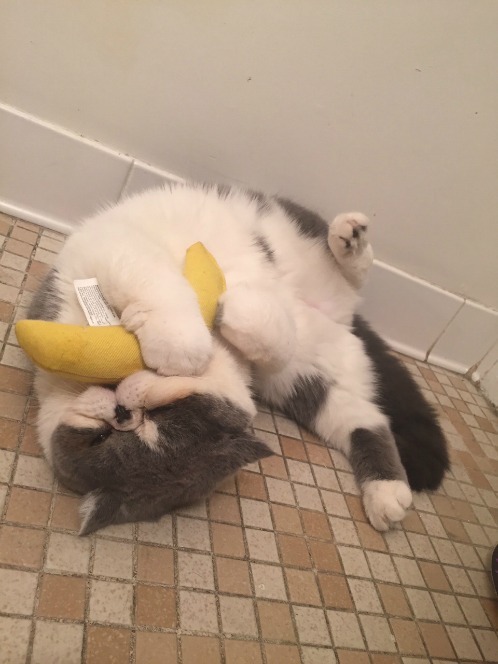 For a gift, I got him his own phone: the iBanana 6, fully loaded with catnip. You know how at every party there’s one shy guest who hides behind the toilet? At PK’s party, that was his older brother FitzRoy.